As a pastor, the end of my week comes on a Sunday rather than a Friday. That morning is the culmination of a week of preparation and planning that likely has featured anything ranging from meetings to visits to checking in with volunteers on any number of things to all that goes into making ready for what happens on Sunday morning. Sunday evening is a different story. On Sunday evenings, I've finished my work. I have the next day off and will spend it with my daughter. But by this point in the day, she and her brother are in bed while my wife has retreated upstairs for her own time of winding down. As for me, I do two things. I pour myself a glass of bourbon and I turn on The Walking Dead. I lovingly refer to it as my "bourbon and zombies time," the hour-plus span in my week when I have left all work behind me for a while and I am electing to sink into my couch and claim this moment for me. One important point that I have to note is that most weeks, this will be the only glass of alcohol that I will consume. I occasionally enjoy an additional indulgence at other points, but these instances are rare, and often come with a question: "Why am I choosing to drink this?" You see, in my early 20s when I started seminary, I didn’t handle the life transition very well. Not just the classwork but also the drastic life changes. In addition, I'd brought some leftover baggage from some college experiences with me. So I was dealing with a whole lot of stuff that was making me feel crappy about myself at once. My chosen ways to cope with all this was a lot of stress-eating and a lot of alcohol. I probably took trips to McDonald’s down the road 3-5 times a week. The drinking never got bad enough to interfere with other aspects of my life but I turned to it for comfort. Like, a lot. Eventually, I knew that I needed to change both my eating and drinking habits. I recognized that I’m a stress eater and, even today when my eating habits change, that’s a sign to me that I need to evaluate how much I’ve taken on. People like to throw around the term "self-care" and apply it to all kinds of things, including enjoying that extra piece of chocolate or glass of wine. Perhaps similar to my "bourbon and zombies time," it is for some a way to wind down from a busy time or at least take a break and revel in a little personal enjoyment before resuming one's responsibilities. To me personally, it’s not self-care to eat junk food. Remembering lessons from seminary and beyond, I know that I am not taking care of myself when I do that. Instead I recognize that I’m trying to cope with or escape something. For me self-care in those times would be making it a point to eat a carrot or banana or just step back and ponder why I’m craving junk and what I can change. I love me some cake or ice cream but if I’m indulging excessively, there’s something else going on. Likewise, if I’m drinking at times other than during The Walking Dead, I need to examine why. Maybe I’m treating myself after a hard day, but it's more likely that I’m self-medicating in the midst of feeling overwhelmed, stressed, or tired. I know people who, when they are struggling with issues related with self-image, will purchase or wear clothes that will help their self-confidence. Others will paint their toenails or schedule a manicure or a haircut. Others will call "timeout" on their otherwise faithful eating habits for a cupcake or evening out for drinks with friends. Some may call these indulgences or methods of escape, dismissing them as feeding dependencies or engaging in some form of "retail therapy." To me, that may not always be accurate. One person’s indulgence is another’s genuine self-care. Or even for the same person, something might be an escape one time but self-care the next. We don't always need some of the things listed above, but sometimes we really do. 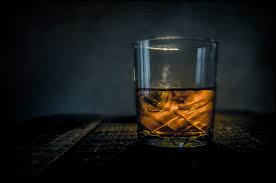 A question for me to always keep in mind is, “Why am I wanting to do this right now?” My "bourbon and zombies" time is very controlled in the sense that I know that's likely the only time I'll allow myself a drink. So if I’m enjoying bourbon sometime other than Sunday nights, I need to ask what’s going on inside me that is causing me to want that. And then, what else in my life do I need to pull back from, create margins around, or reach out for help with? We all need times to wind down or blow off steam or improve our sense of self-worth. The line between showing ourselves love and not really caring for ourselves long-term can be a thin one if we aren’t doing that deeper emotional/spiritual work. It takes getting to know ourselves and listening to our wants and needs and anxieties well enough to know where that line is. To always ask why we want to indulge helps us identify our motives, our desires, and what we might need instead. In that sense, it is where true self-care begins.